I just want to clear this up, there’s a difference between ‘using your judgement‘ and ‘being judgmental‘. The other day, I saw a mother hop in the front passenger seat of a car and she had a sleeping baby in a baby carrier. “Surely she’s not….” I thought. But, she did. The husband drove them all off. That baby strapped to her mother and not strapped into a car seat. I wrote a post about it on Facebook, about how you should always put your baby in a carseat. How it’s just not safe or worth it to wear your baby while driving in the car… even when it’s a very short trip. But, I couldn’t hit the ‘Post‘ button. In my unpublished post, I was USING MY JUDGEMENT, I said that wearing a baby in a baby carrier in the car, is not safe, no matter how tempting, we shouldn’t do it. I was sharing my experience and knowledge on the topic to hopefully prevent a tragedy. It’s important that people use their judgement! It’s important that others call us out when we’re doing something that isn’t good for ourselves or others. Now, if I had been acting JUDGEMENTAL in my post, I would have said that the mother is terrible and stupid and not worthy of being a parent. I would have said how I’m an awesome parent because I would never do that with my babies. I would have said that she was lazy and clueless. 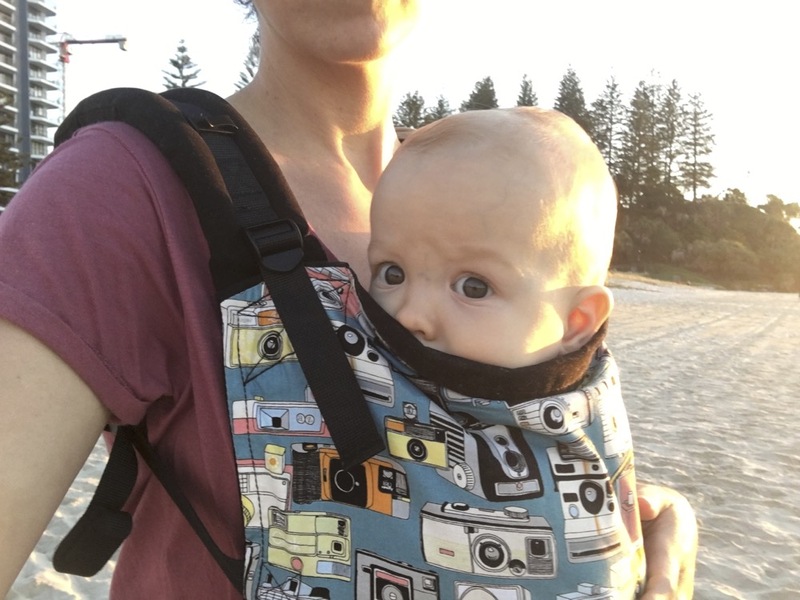 I never ended up hitting the blog ‘post‘ button, because I realised that regardless of how I would have explained the babywearing in the car scenario, I would have been branded as being judgmental by somebody and I didn’t feel like dealing with it. Modern parents live a very isolated life. We emanate this war cry of ‘mind your own business‘ to anyone who threatens to make our lives mildly uncomfortable. Since when are humans supposed to mind our own business? Traditionally, humans live in small tribes, tight knit communities and family units. Nowhere, in the history of human beings, have parents ever minded their own business as much as they do today. Today, the majority of parenting happens behind closed doors. So, how can we be sure that we just automatically know everything about being a parent. Come on people, there’s a lot to learn out there, there’s a lot to be appreciated. Today in our society, we have more post natal depression, more trouble finding meaning in our roles as parents and we are more stressed than we ever have been before. Yet, we cling to our notions that people shouldn’t be sticking their nose in our business. We’ve become so defensive in our thinking that even when we do have well meaning people give us advice, we often block it out because we don’t want to hear them ‘judging‘ us. And yes, sometimes people are certainly being judgemental. But, I think if we know the difference between ‘using judgement‘ and ‘being judgemental‘, there will be a lot less defensive people out there. A lot more openness. A lot more information sharing and a lot more compassion. The reality is that most people are not judging anyone, they’re too busy worrying about themselves to think about what you’re doing! Introspection is not easy. It pinches sometimes and can be unpleasant. But, maybe, rather than always thinking people are attacking our life style or judging, we can consider if them sharing their experience or advice is coming from a sincere and educated place. When people are truly being judgemental, it’s a display of their lack of awareness. They’re on a journey that isn’t yet complete. A person who truly knows what they’re doing, won’t be judgemental, they’ll see the whole picture and know that we’re all on a journey of life lessons and some people just haven’t been learned those lessons yet.